I quickly abandoned the 7am rise and shine, hitting the hiking trails, with this being Jonathan's only kick back, relaxing time in a while. Add to the mix traveling with a twenty year old young adult, and our 13 year old beagle, Wizard. As temperaments, interests and physical thresholds (Wizard's, not mine:), vary, flexibility and spontaneity play a key role in making a family vacation successful for all. 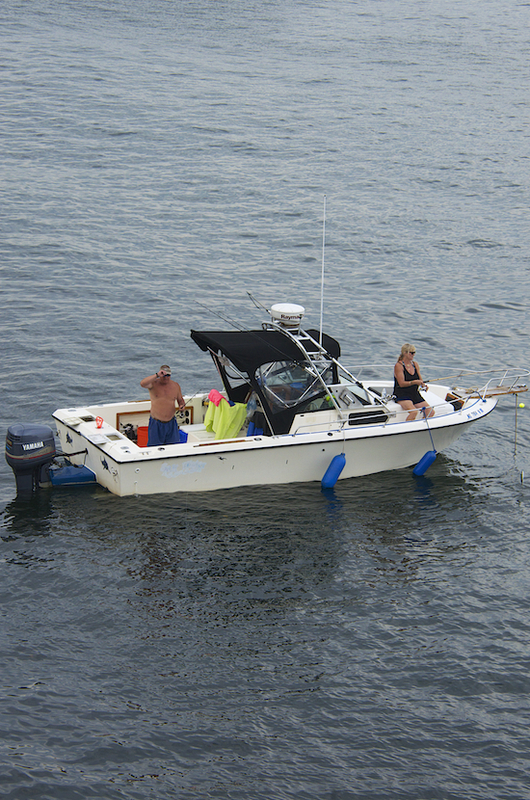 Maine with so many land locked waters is known for its lake side vacations. An entire week lounging, inviting some friends, swimming, boating and playing volleyball sounds beguiling, if only this wasn't our first 'expedition' of sorts into this land of pines. We could smell the pine needles, nature's air freshener, when the clean, cool breezes flutter in through the cracked open car windows. 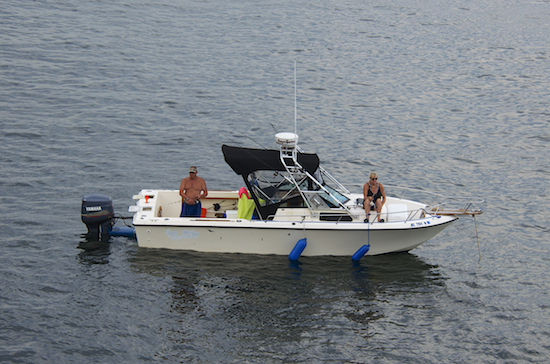 This carefree tranquility is reached mid-day and into the evening after the morning mad rush. Wizzy needs his walks, here goes Jonathan sleeping in and it is a 7am wake up call. Showers, who's first?! I am still, even if somewhat reigned in, in a food exploration mode, with a go go food crawl attitude and in search of that elusive perfect cup of cappuccino that I have to have every single morning. All the while S, our son, the young adult of the bunch, is sleeping in. S carried his load of watching Wizard and really enjoyed discovering Maine but more about that in this post or in the sequels, later. Speaking of flexibility, in addition to reigning in my chasing food, the powers above put a damper on my desire of chasing lighthouses. The plan was biking for a few hours while chasing lighthouses on day one. The first day in Portland was under a shroud of an eery fog, and some ongoing, later that afternoon and into the evening, drizzle. My hair was frizzy with shiny water drops clinging to the dark strands. Mother nature is the most temperamental, the biggest diva of them all. Visibility was almost at zero. A faint outline of the sail boats can be depicted if you are right on the rugged coastline, so we went on chasing lighthouses by car on day two. 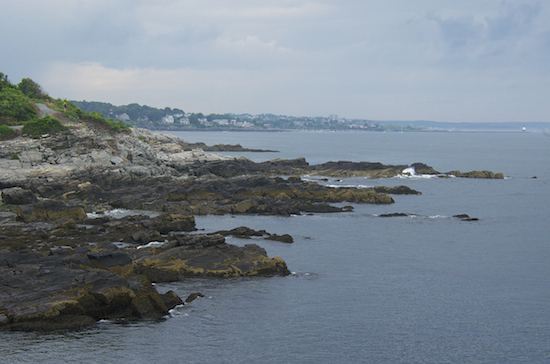 Portland Head Light (above) in Cape Elizabeth, just south of Portland, with approximately a million visitors a year, is arguably the most visited and photographed lighthouse in the US. Nestled on beautifully kept Fort Williams Park grounds. 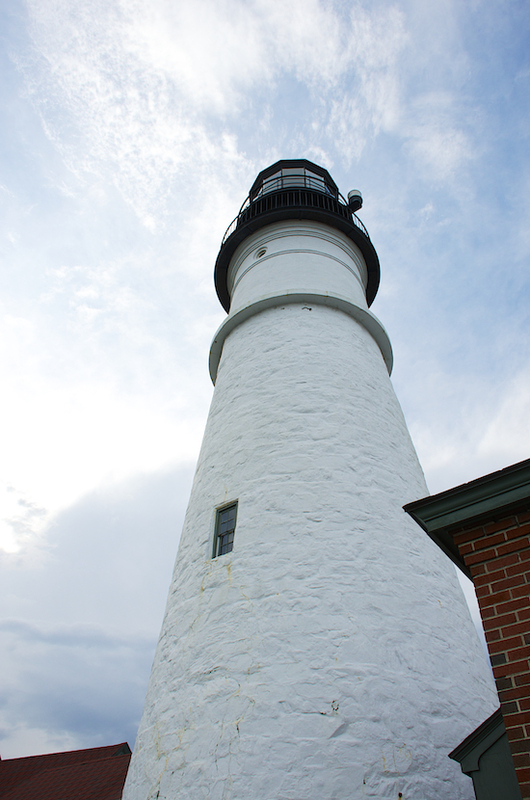 I was photographing the lighthouse from every which way possible angle. Wizzy in tow, tugging at the leash I held pulling towards the exact opposite direction. Jonathan and S went on a short hike to explore Fort Williams, an abandoned looking military fortification that served as headquarters of the harbor defenses of Portland during World War II. 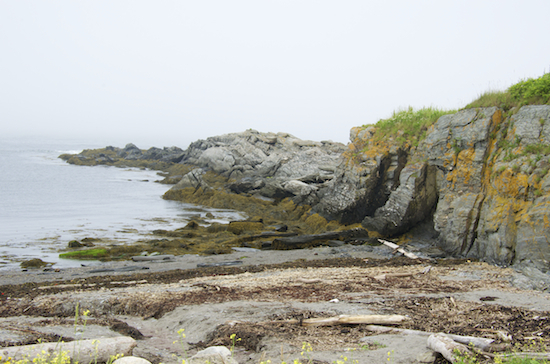 Rewind a tad here, before we hit the Portland Head Light we were walking this rugged shoreline at Two Lights State Park (below) by the Cape Elizabeth's Lights otherwise known as Two Lights (below). Today only the Eastern light is active and the property is privately owned. The Lobster Shack at Two Lights restaurant is nearby but we didn't dine there. In the Metropolitan Museum of Art in New York City you can find one out of several Edgar Hopper's, an American realist painter, oil on canvas painting of the Two Lights (circa 1929). One of the paintings was reproduced on a US postage stamp to commemorate Maine's 150th anniversary in 1970. Earlier that morning, while S was still sleeping, we 'packed' our pooch and went looking for the infamous 'the holy donut' made with Maine potatoes. We settled throughout the trip into this routine, just us two, sometimes with Wizard. It was sort of dating every day in the mornings. The otherwise indistinct donut shop front sits just across Deering Oaks Pond and a gorgeous surrounding park. When I walked in I wished to sample it all, but settled for a sampling of a half dozen. 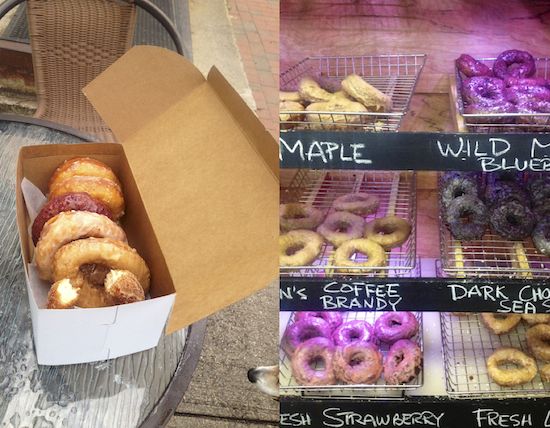 I did ask the woman at the cashier, who uncannily resembled the owner, which donut was her favorite? She said her favorites were the cinnamon sugar and the chocolate. Now I like good ole' cinnamon, but I don't like anything too cinnamon-y. I would not have chosen it as part of my precious half dozen, if not for this nice lady's recommendation. I didn't order the chocolate as they mix cocoa powder and melted chocolate chips and I was not sure if the chocolate might have a 'may contain nuts' warning. S is extremely allergic to tree nuts among other things. The only other donut that might have been a culprit is the pistachios which they didn't have. The lady said it was seasonal which completely left me baffled. Maybe she meant seasonal as in, they make them only on St. Patrick's Day in March?! I'd like to think that. After all we are in New England. Surprisingly, the inquisitive person that I am never asked. I ordered two glazed potato, maple glazed, delicate fresh lemon glazed, Maine wild blueberry that just pops with a burst of blueberry flavor and color and my favorite, the cinnamon sugar. 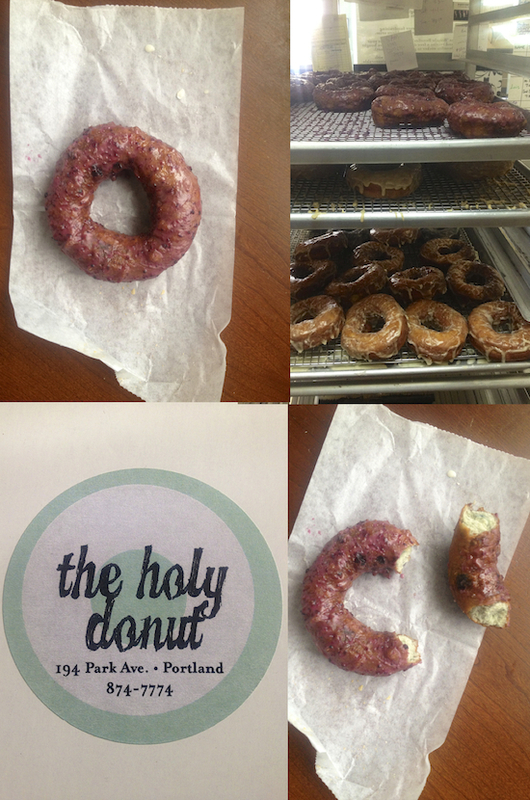 'the holy donut' has also gluten free donuts, some boozy and savory. Wizard reflexes are in tip top shape, he snagged one half glazed potato donut that was close to his snout. We had the hot house-coffee from a thermos. That morning I just had to let go of my obsession with everything cappuccino. I dare say the 'the holy donut' is the mother lode, the holy grail of donuts, though DC's Astro creme brûlée donut is up there with the best of them. They are a two completely different animals. The potato donuts fry differently, you can smell it in the air and in the deeply tanned hue they arrive at. They are denser though still light. They are sweet but not too sugary. 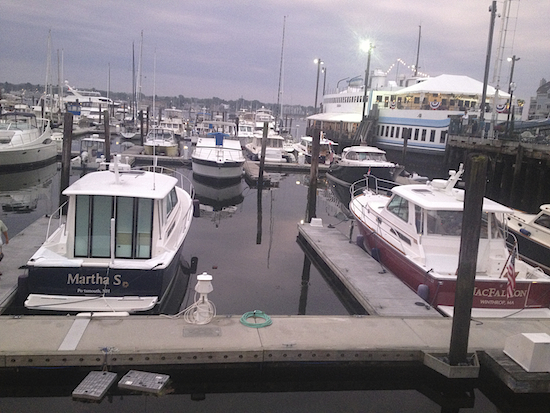 I guess you just have to travel to Portland, Maine to compare and experience it first hand. Delivery comes at a high premium. When I asked about a sandwich place with freshly baked bread where we could pick up some sandwiches for a picnic lunch, she turned to this man who turned out to be the owner's father. 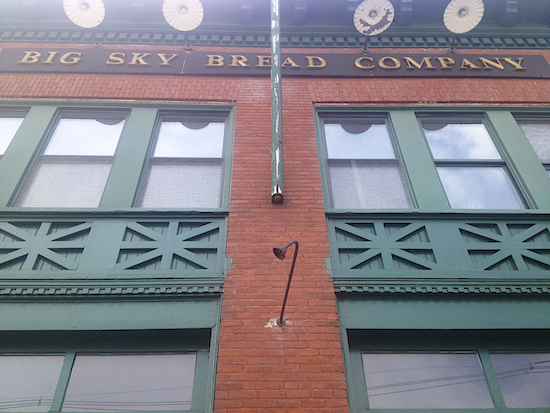 He and what seemed like a regular customer, a burly woman, who was sitting and having a donut and coffee while reading the paper, had a brief exchange, before she strongly recommended this organic bakery cafe nearby, Big Sky Bread Company. Turns out the woman herself is a professional baker. The father was a tall gracious man. He was telling me of his recent trip to DC and how much he liked the town. How the idea for the donuts was born while his daughter was living in San Francisco. He welcomed me into 'the holy donut' busy, small kitchen and pointed proudly at the recently purchased mega mixer. He said the recipe multiplied without any tweaking to the larger volume the new mixer can handle. He also said something about Anderson Cooper. Turns out the owner was in NYC making an appearance on AC360 and the silver fox LOVES donuts. We often take out for a picnic when we travel with Wizard. Jonathan ordered the herbed chicken breast salad, a touch of mayonnaise, shredded carrot, celery, fresh basil and fresh garlic on honey whole wheat raisin. I had a bite and it was definitely an innovative flavor combination with the garlic coming through. The mix of sweet with the savory. He ordered for S the prime cut roast beef and Swiss cheese (I was surprised about the Swiss there), green leaf lettuce, red onion and house made horseradish mustard dressing on three seed bread. I had a Greek salad to balance my diet of sinful donuts. Later on that evening Jonathan and S had dinner at Pai Men Miyaki meaning 100 noodles. Pai Men Miyaki is a more of a casual joint from the house of the acclaimed Miyaki restaurant. While we three are huge fans of Vietnamese Pho, we were yet to be wooed by Japanese Ramen. The Shojin, a vegetarian ramen version, Jonathan had and took out for me as well, was a rich kombu and mushroom stock, with cabbage, mushrooms, carrots, tofu and nori. So flavorful that I fervently slurped the ramen noodles with a good dose of the broth....and if I lived in Portland, I would go for Pai Men Miyaki's vegetarian ramen, again and again. It was the best ramen I ever had. It is probably the best ramen possible. 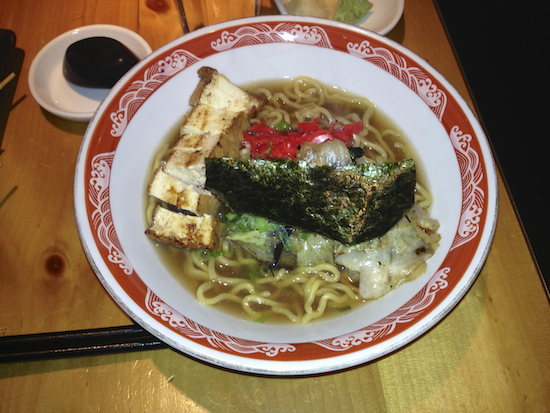 All individual components, the noodles, the tofu had such a distinct flavor and texture. Each had a distinct character to them but they fused beautifully as one. It was perfection. While the guys were texting me the menu and snapshots they took of the ramen, chicken and beef Yakitori skewers and sushi, I was walking Wizard around the neighborhood. I chatted this young woman who was walking her cute little dog. She is originally from Boston like many others in Portland, a transplant. She gave me some recommendations of her favorite spots, all in Pai Men Miyaki's neighborhood, where she resides. Her recommendations were mainly for cocktails. Some pedestrians, I didn't have the slightest desire to chat with. When I mentioned it to Jonathan and S they didn't have the slightest clue what I was speaking of. They didn't notice. How typical! Then a conversation about drugs and meth ensued and trust me none of us knows anything about the subject matter. It was comical bordering on the ridiculous. The neighborhood seems re-gentrified, though I read somewhere awhile back you wouldn't wish to be caught dead in Portland, and I witnessed some remnants of that. I did however feel safe walking around. At the end of the evening in the neighborhood, we caught the most beautiful rainbow. We drove off to walk by the water in downtown Portland, where I captured these golden hour images (below) just in the nick of time before darkness engulfed us. Now you must be wondering why is part II published first?! It reminds me of that sitcom, oh wait, it's Abbot and Costello's 'who's on first?' It somehow made sense to publish out of order, the second, first. Speaking of firsts, camping is what comes first into Jonathan's mind when he imagines a dream vacation. Maybe next time I will be more flexible. I've been saying that for the last 27 years. If you wish to get a glimpse of what's to come in the Maine sequel posts, follow me on Instagram. Photographs were taken with both iPhone and Nikon cameras. 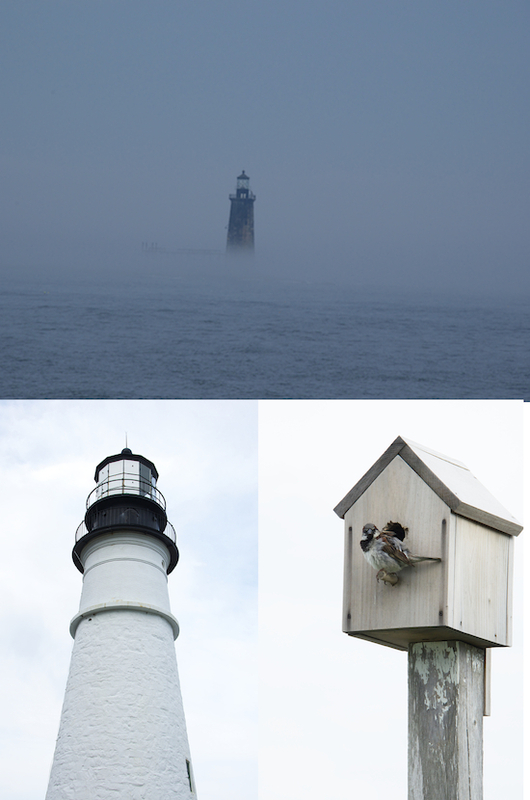 In the grouping of photos where the fishing couple appears, the top collage is of Ram Island Lighthouse in the foggy distance seen from Portland Head Light and a bird feeder at Portland Head Light. 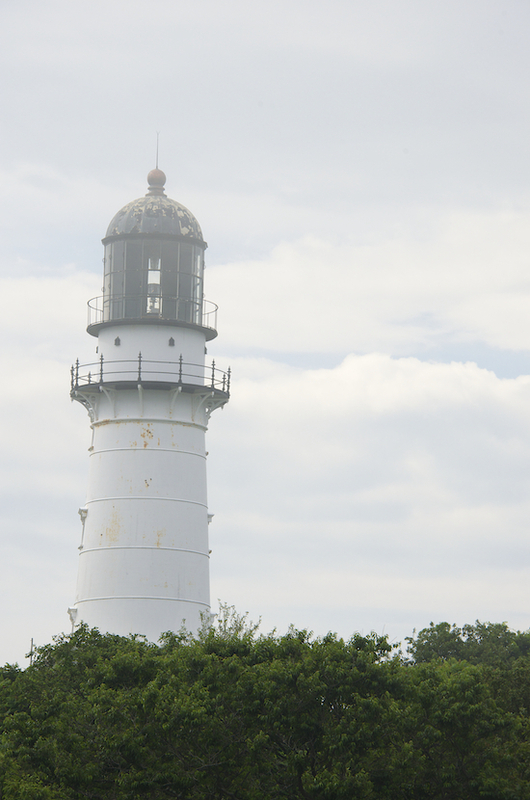 There are many bird feeders surrounding the lighthouse. "idyllic and calming" I couldn't put it better, TY Helene! 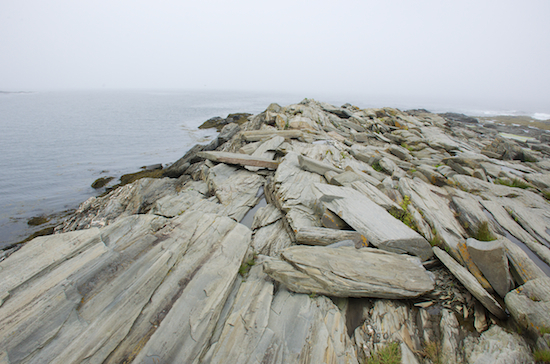 Maine is a beautiful and quaint place I'd love to visit. Thanks for sharing your pictures and impressions with us. Thanks for taking us on a virtual tour. Beautiful and the fishing, wow. Maine is on our list, and now we know where to get HOLY COWWW..donuts:)..Thanks. Aw Maureen, I didin't know you were from Maine. What a beautiful state. We had Maine blueberry soft serve on the last day. I hear Two Fat Cats in Portland has the best Whoopie pies but we opted to go to Standard Baking Co. pastries and breads. Same owners but different pastries and breads. We loved it. 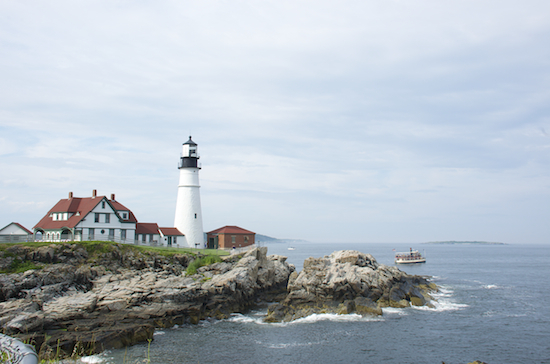 I'd love to visit Maine, your lighthouse photos are so beautiful! And yes please to donuts, always :). TY Laura. You would love it. I was surprised how much I did. Great post! I too love Portland and all that is (and isn't) Maine. 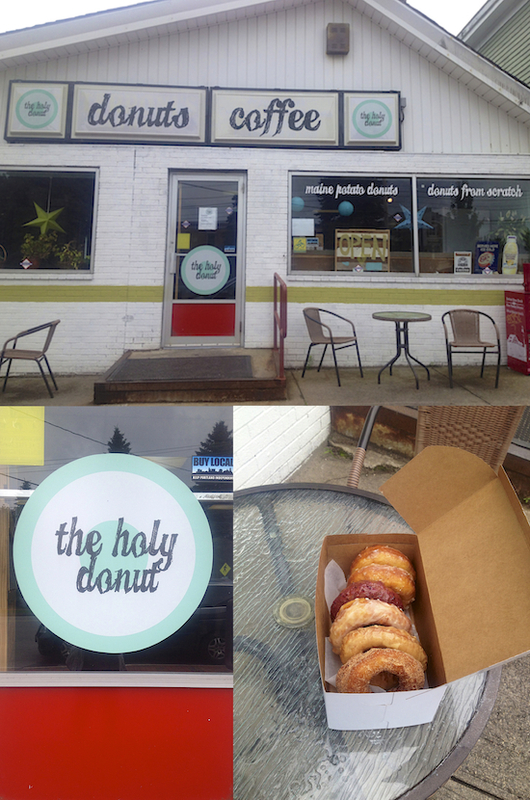 I'll certainly be stopping at The Holy Donut the next time I'm in town. Thank you! Lucky you! Fog and water. Coffee and Donuts. Perfect summer vacation. Beer and good food. And you can look at your gorgeous photos forever. My goodness, I want some of those donuts! Oh my goodness Shulie... I have never been to the east coast and I'm craving it through your posts!! 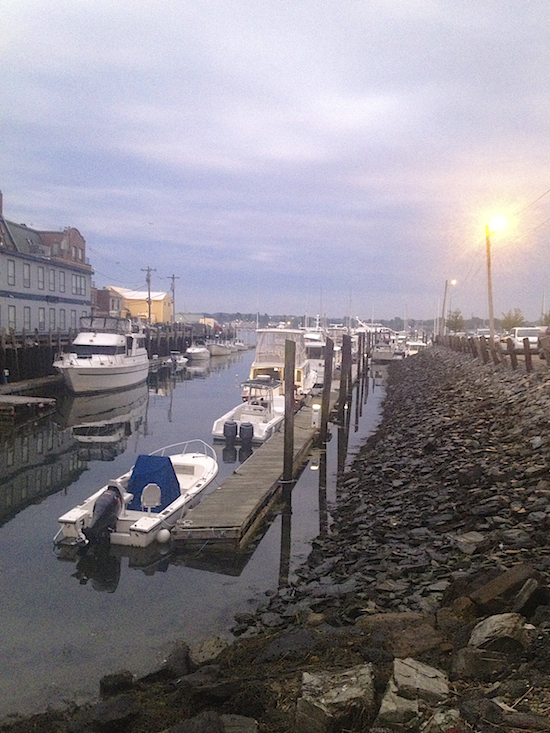 Portland to me is in Oregon, but I've now added the one in Maine pretty darn high up on my list. One of these days I'm going to get in a car with my husband and we are going to explore. WE don't have lighthouses on the west like that... beautiful!